One of the first things you’ll see online when you type in ‘foundation maintenance’ is a lot of advice about watering your soil. Dry soil contracts and pulls away from the sides of your foundation. The dirt underneath your foundation can also shift and destabilize. Foundation shift happens when the soil isn’t hydrated, but it also depends on the soil itself. What type of soil is on your property? If you’re directly in Dallas County, find your neighborhood on this soil map of the area. While knowing the gradient of the property, or how much it slopes, gives you a good indication of how much erosion and drainage might be a problem in the future, it’s an incomplete picture. The type of soil your house sits on can tell you a lot about how likely foundational shift is. The majority of the soil around Dallas has a heavy clay make-up, but that general rule doesn’t apply to the whole metroplex. If you live outside of the Dallas county limits, a quick search can tell you more about your neighborhood’s soil. Clay, loam, or sand — why does it matter? If you have loamy dirt, or dirt with a good mix of clay, sand, and silt, you hit the jackpot. This soil is more stable than it’s other counterparts. However, it’s much more likely than even loam-heavy regions have too much clay in the soil. Sandy soil is almost as good because of the good drainage, but it’s rare. Unfortunately, sandy soil is also vulnerable to erosion. Clay is really good at retaining water, which is good for your plants but bad for the foundation. The dirt will swell up with as much water as it can hold onto when it rains, and that can put a lot of pressure on your foundation. During a drought, the dirt will severely shrink as the water disappears. The high level of expansion and contraction is why shift happens so much in the DFW area. You don’t have to figure out what type of soil your foundation sits on to keep it safe. 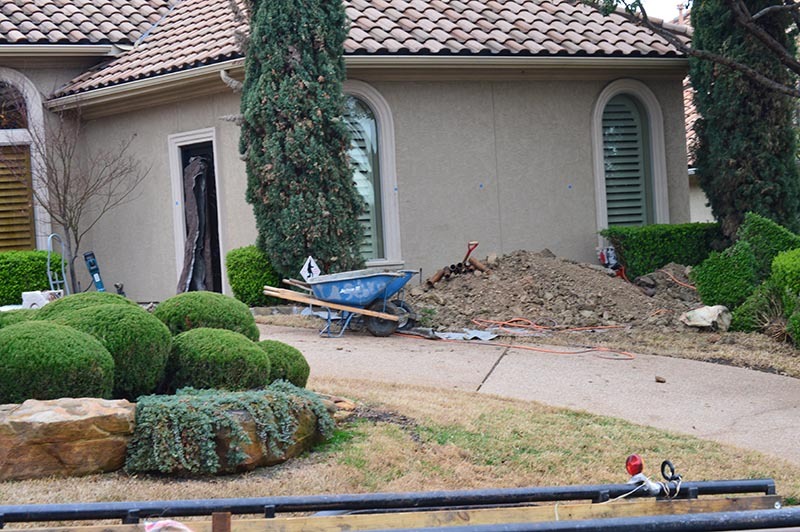 Call in a foundation inspector to examine potential problems and shift.